So we lived through the 3rd SDCC badge sale of 2017. And it seemed oddly benevolent. Most - not all - people I know were pretty lucky. My ex-boyfriend's group of 4 people got picked for Preview Night and all 4 days. My own group did incredibly well. A group of 2017 first-timers picked up their first Preview Night badges. And so on. CCI slowed the sale down slightly. Maybe it was better for their processors, maybe there was some other reason. It took Preview Night slightly longer than normal to sell out, but it really took Saturday a while to go, and then Friday vanished almost immediately. I think this was less stressful for people - it can feel a bit demoralizing when everything is selling out right away. CCI converted more single days badges into 4-day badges. One odd thing: I got in when Thursday and Sunday were live to buy a friend's badge. It showed there were 3 Thursday badges and 3 Sunday badges. The numbers dropped to 2 and 1 while I was typing. I freaked out and assumed someone else would grab them before I could finish, but it all went smoothly .... and then someone else in my group bought additional badges. Lesson learned: between inventory being held for people while they complete their purchase and other systems, don't stress too hard over whatever quantity messages you see. Just complete your session and assume CCI will honor it. So Saturday and Friday sold out almost on top of each other. I'm guessing that CCI made more 4-day badges available and fewer single days. Just a theory. This has been a rather peculiar badge sale. It started almost immediately after 9, yet Preview Night took slightly longer to sell out than last year. By now I would have thought we'd seen more "sold out" notices. Are they processing people more slowly? Not a bad idea. Well, that was fast. Hello, Preview Night badge. One of the most important days of the year is here - for the 3rd time in 2017. 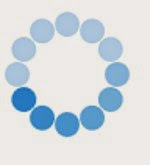 Today is your best chance to go to San Diego Comic-Con 2018, which means you're probably already logged into the waiting room, watching the spinning circle and practicing yogic breathing. You know the drill - don't refresh, screenshot everything, don't crowd half a dozen browsers onto one device. And let me say something about Preview Night. I know that's the Holy Grail of badges. But don't be too disappointed if you don't get one. The pilots shown that night are screened a second time; while some exclusives are only gettable then, they're few in number. Most booths now offer pre-sales, daily allotments, or rig the whole system so Preview Night isn't enough anyhow. I used to feel like I HAD to have Preview Night or I was a failure, but I no longer feel that way. I'm actually perfectly fine this year with anything from 3 days on up. That's probably me being a jaded old veteran whose grip on SDCC is starting to fade, but I would advise you to try to keep a similar perspective. These days a partial badge experience isn't much different from a Preview Night badge experience if you're doing offsites, staying out late or focused on hanging out with friends. So whatever you get today - as long as you get something, you're doing pretty well. And let's be honest, it's the hotel situation that's the bigger panic zone these days. Good luck. I'll live blog the sale as much as I can. Year 5, here we come! Of our 6 sessions, 1 came up at 9:08, one at 9:16, one at 9:25 and 1 at 9:29. Only needed the first 2 for all 6 of us to get 4-days (we leave PN for those who really want it)....Thrilled with this Ret Reg! Glad you got in so quickly, too! Congrats!! That's nice of you to leave PN for people who want it. I've noticed a lot of people will grab the biggest badge they can and then not even use it. Glad you guys got everything you wanted! In my 3 person buying group, we had 13 sessions total. Of my 6 sessions, two of them hit at the same time at 9:30 am, so I got my own 6 4-day passes (no preview night). Rest of our group also got their 4-day, one person is missing Saturday. Now we can go into open reg relaxed and try for preview night but not have to worry if we don't get it. That's such a nice feeling when you don't have to stress over Open Reg. Congratulations. It's so kool to read so many got preview night along with other days. I think you're right in that CC changed their rules a little bit. I hope the change will go to open reg where I'll be. You'll get something in Open Reg. We got 6 of us in, just 1 left and we'll get him next time. We don't worry if we don't get Saturday or whatever, There s plenty to do and what matters is having fun. Onto open registration! Good attitude. Congrats and good luck! Looks like I will be going for my 11th year in a row. Comic con gods have been nice to my buddy and I. Especially this year. After texting me all night from a bar on Friday night for me not to get too drunk and over sleep the sale, he did just that. Thankfully, I got in just as the sale opened and secured our continued tradition. See ya in 2018. Congratulations! I hope you gave your friend a hard time.